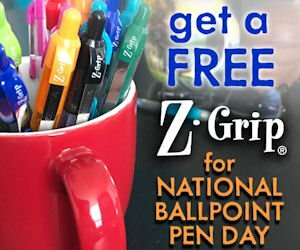 Sign up to receive a free Zebra Z-Grip Ballpoint Pen. Sign into your Google account (register for an account if needed), fill in and submit the form to receive your free Zebra pen! Please allow 4-6 weeks for delivery.